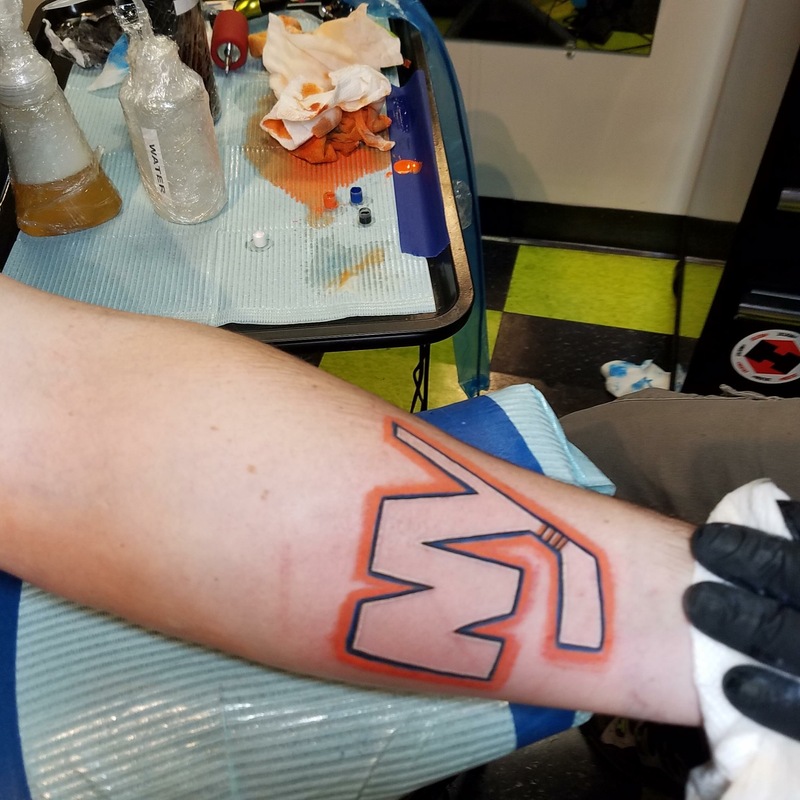 So you think you’re a die hard? 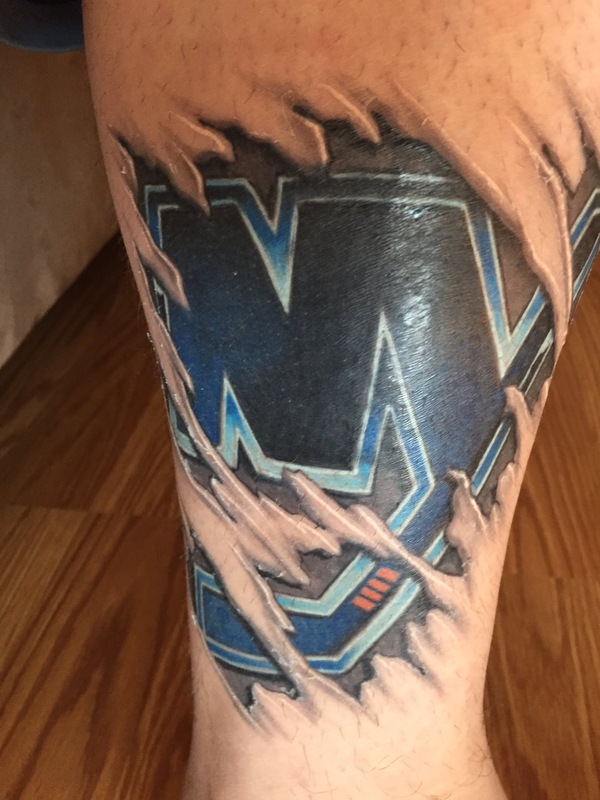 Yes, we all bleed orange & blue in our own way. 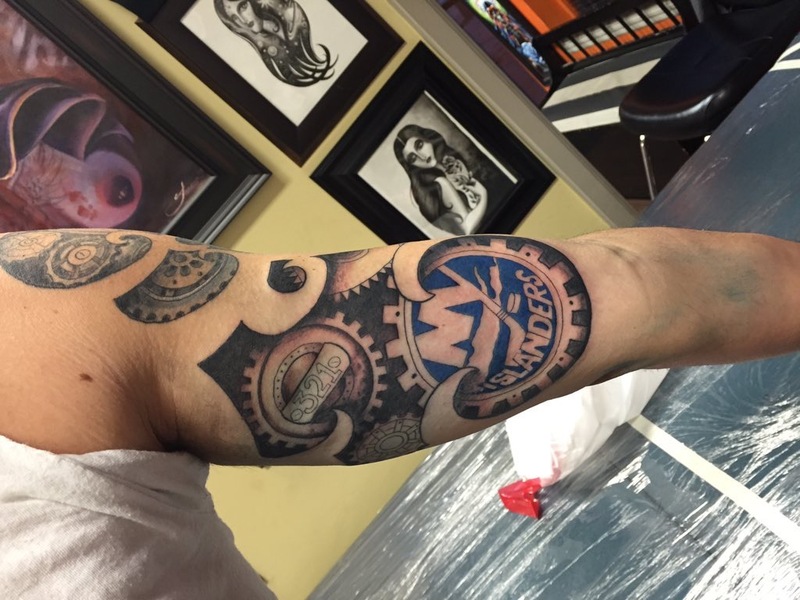 Sure, you don’t need a tattoo to illustrate your love for the Islanders, but it doesn’t hurt (ok, maybe it does). 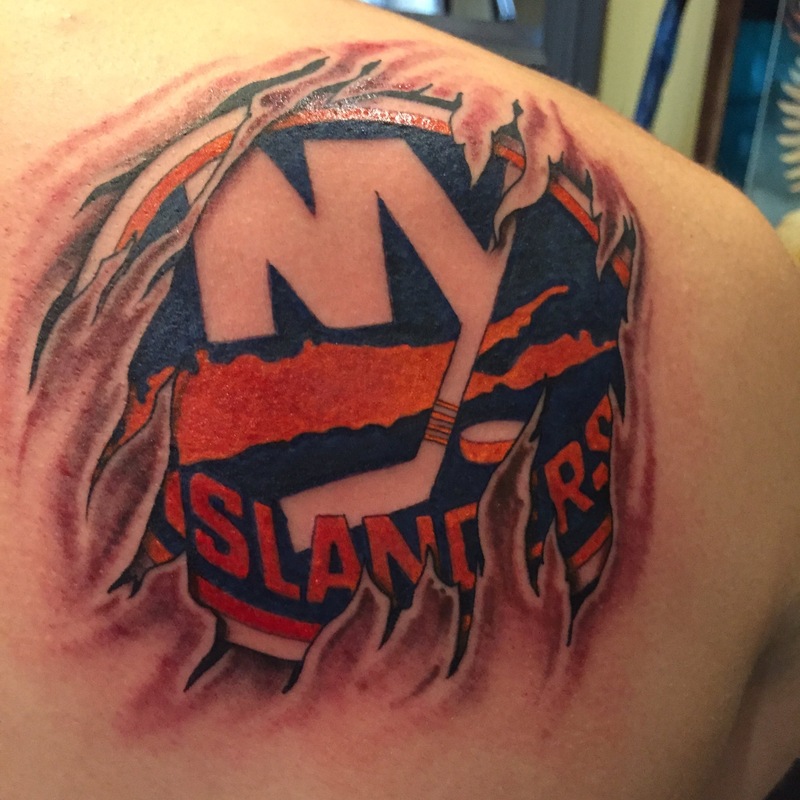 IslesBlog asked fans to send us their Islanders tattoos and you delivered. Here are just a sample of the #IslesInk fans have branded themselves with throughout the years. 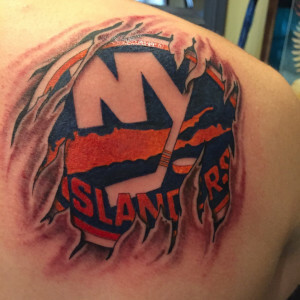 I decided a couple of years ago that I was gonna get an Isles tattoo because it’s such a major part of my life for as long as I can remember I’ve been a fan I remember going to games with my Dad buying family fun packs and now as an adult going myself finally having money to do season tickets this year. I got the tattoo about five years ago in 2011. It was my first tattoo and the artist actually recommended putting it on my shoulder because I’d eventually like to expand off of it. 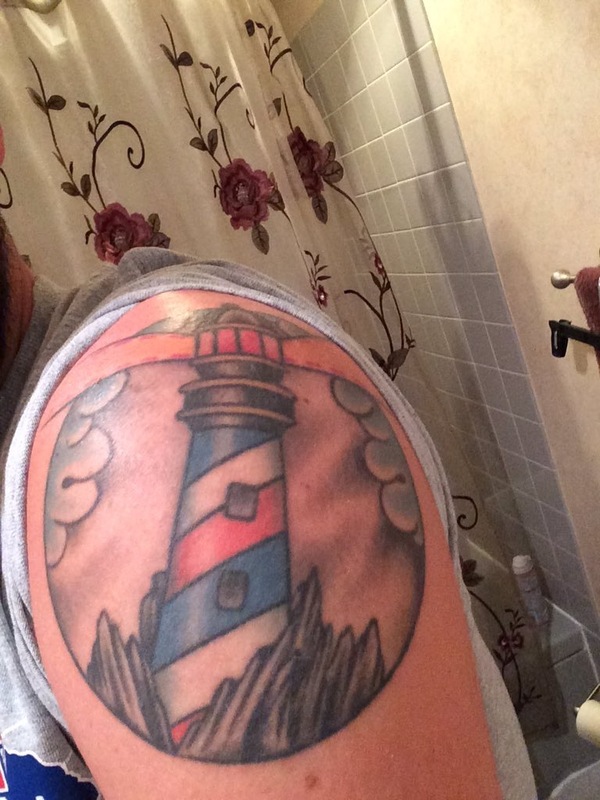 I feel the lighthouse is a great representation of the Isles organization and Long Island as a whole. 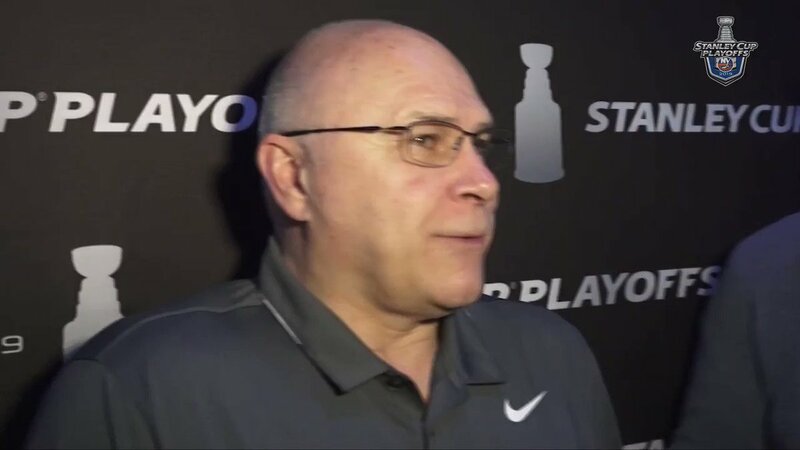 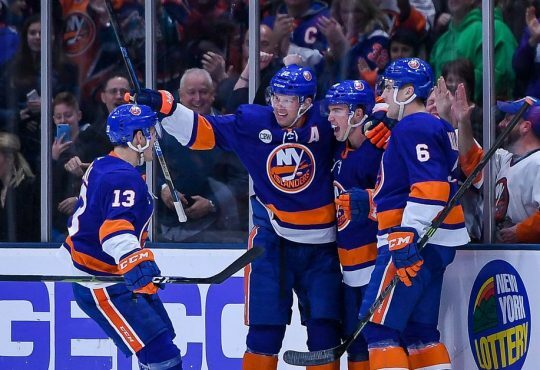 I had brought in a picture of the Islanders lighthouse shoulder patch that they had on their jerseys back in the late 90’s. Been a die-hard Isles fan my whole life and have wanted to get an Isles tattoo for a long time but just couldn’t decide exactly what I wanted to do in terms of the art/graphic. I got this tattoo after July 2014. 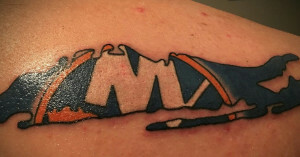 I’d always wanted an islanders tattoo and at the time my cousin was just starting her tattoo career. 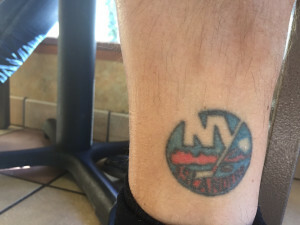 My original plan was to get an islanders lighthouse but she was a new tattoo artist and I didn’t wanna get anything from her to crazy. 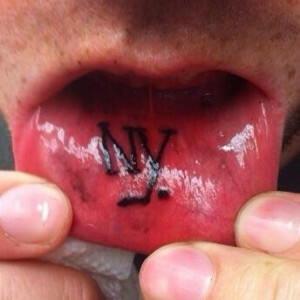 So I settled on the lip tattoo. 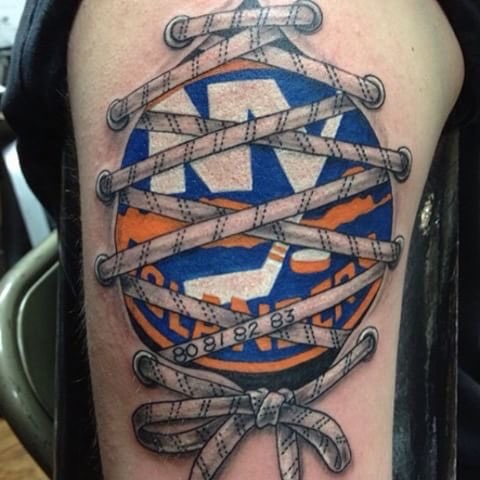 I got this Islanders tattoo is because I live, breath and sleep Islanders hockey. 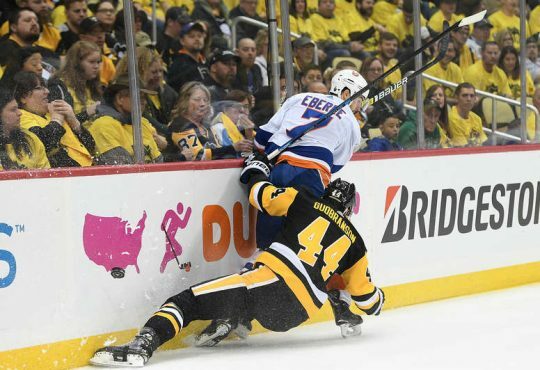 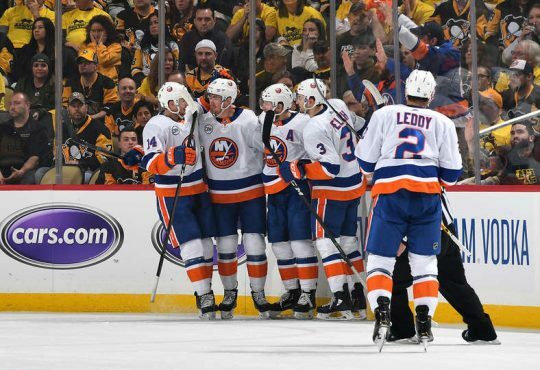 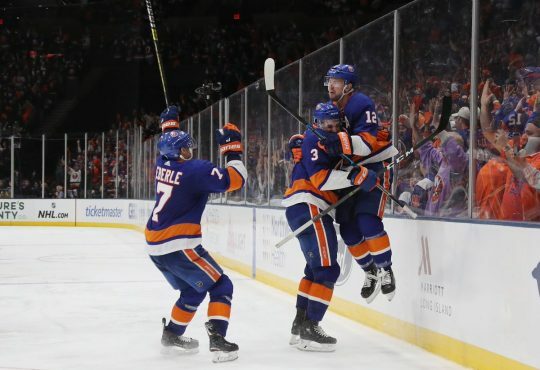 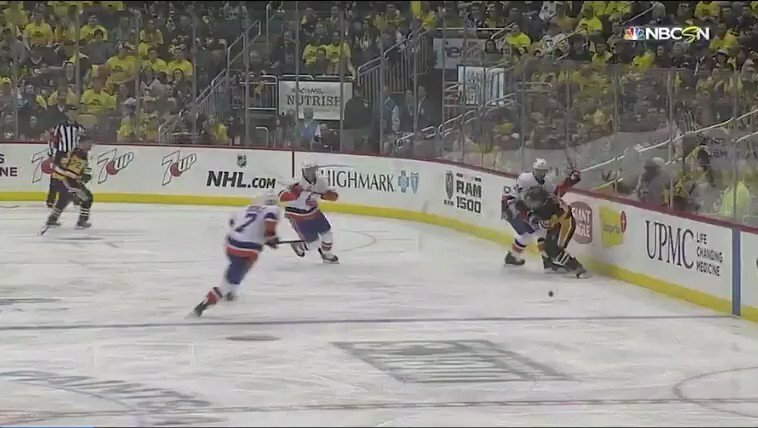 The Islanders is the one thing I LOVE to talk about with fellow fans or fans around the NHL.